When the temperatures start to dip, our cravings for cozy carbs heat up. This time of year, we love pasta for after the kids' football games, weekend leaf-peeping excursions, or for bringing the whole family together over one of the most traditional comfort foods around. Whatever your tastes, you're sure to find a new favorite. This easy baked dish features all of the bacon, egg, and cheesy goodness of a classic Carbonara, without standing over the stove. Because it uses cream cheese in the sauce, you'll find this version even richer. Serve it with a glass of white wine or sparkling grape juice, to really kick up the class. If you usually just open a jar of red sauce over your spaghetti, get ready to level up. This simple recipe adds cream cheese and onions for extra flavor and velvety texture, without getting complicated. Put your own spin on it by adding sliced mushrooms, spinach, ground beef or sausage, or other meat and veggies for extra oomph. It just doesn't get any easier than this. When you're pressed for time, too tired to cook, or need a casserole the kids can make themselves, turn to this one. Just defrost a package of ravioli or tortellini and one of frozen meatballs, then add a jar each of Alfredo and red sauce and a little milk. Top that with a little shredded cheese, bake, and you're done! If you're still using jarred Alfredo sauce for your pasta, you obviously haven't tried this version. You won't find a silkier, creamier, heartier version anywhere. Eat this stick-to-your-ribs dish right away, because the sauce continues to thicken as it stands. Feel free to make it with spaghetti or any other long pasta. Don't relegate fresh flavors to spring and summer. 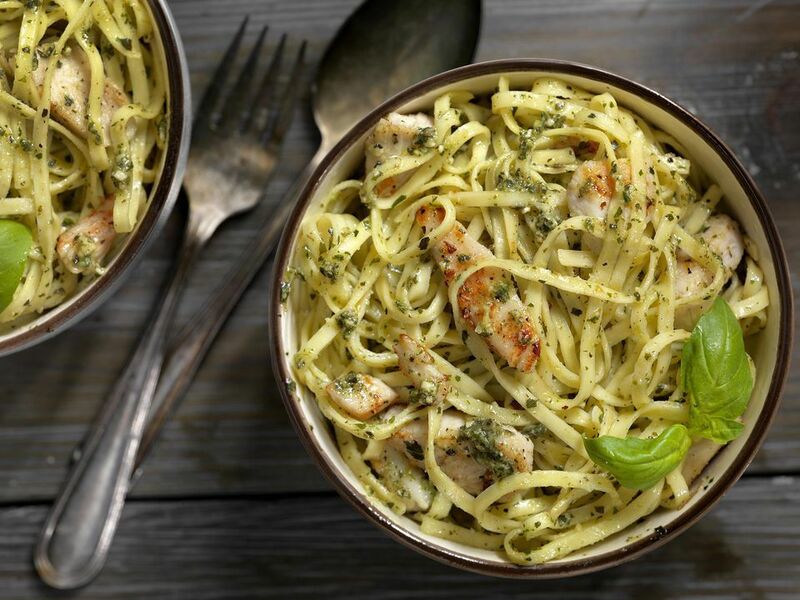 Just add lemon zest and juice to packaged pesto and cream, then toss it with this pasta and chicken for a quick dinner that's impressive enough for dinner guests. Add peas or your favorite frozen vegetables to round it out, and serve alongside a green salad for a simple, beautiful meal. Not only is this dish simple to make with jarred ingredients, it also tastes like autumn. Toss salty, sweet sun-dried tomatoes and umami artichokes, and fresh or roasted red peppers with bow-tie pasta for an easy but lovely dinner. For a little pizzazz, drizzle with good balsamic vinegar just before serving. Go full-throttle on fall with this vegan pumpkin pasta. You don't need animal products to make this creamy, low-fat sauce, and can make the dish with pasta shells, bow-ties or any shape you prefer. Carnivores can also add sausage for that little extra something. Whip this up after carving your Jack-o-Lanterns or to rev up for Thanksgiving. This classic Italian dish's name means "angry" because it's made with spicy red peppers and plenty of garlic. You can adjust the spice level to taste and add basil, onions, or oregano, too. Use penne, ziti, or whichever pasta shape you like best. It comes together in about the time it takes to boil water, making it perfect for taking the chill off after a long day playing in the leaves. Pasta for breakfast? You bet! 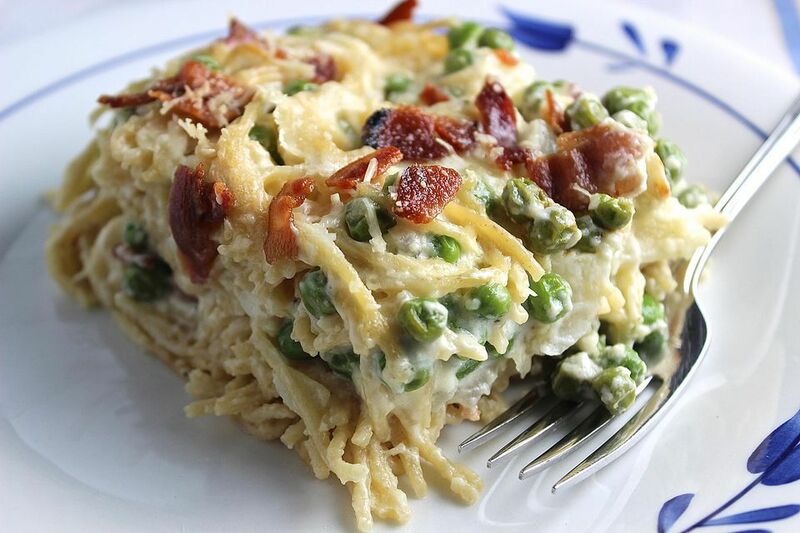 Use up leftover pasta in this simple casserole that works as well for breakfast or brunch as it does for a unique dinner. In addition to pasta, you can add any vegetables, cheese, meat, or herbs you have in the fridge. Get creative with this dish, that also reheats well. When you need a dish that's fancy enough for company but satisfies dietary restrictions, look no further than this spinach and ricotta pasta. Use good-quality olive oil and fresh grated parmesan to punch it up even further. Even beginner cooks can create this party-worthy favorite, which also works well with gluten-free pasta and dairy substitutes. Serve with a nice white wine and crusty bread for a classy meal. Football Sundays call for slow cooker recipes, and we've got a great dinner one for you. This macaroni and cheese only takes a few hours, which means you can toss it in while watching the big game and have it ready by the last touchdown. Add ground beef and tomatoes for a goulash version, or sprinkle in some crushed red pepper for spice. This veggie-loaded lasagna takes some time, but it'll make your house smell amazing on one of those crisp days. Picky eaters will even love the vegetables hiding in every layer. Add ground beef or sausage for extra heft, or mix up the veggie blend to match your family's favorites. Don't forget to give yourself a solid few hours to put it all together, plus plenty of time to cool. Cheese fans, meet your new go-to. Warm up in peak sweater weather with these comfortingly gooey pasta shells. Add more garlic or other spices to taste and feel free to play with the cheese mixture. Pair this recipe with garlic bread and a green salad for a complete meal. You'll want to have seconds, for sure. A hearty, meaty bolognese sauce is the star of the show in this old-school Italian standard. You can either eat it right away off the stove, or top with shredded parmesan or mozzarella cheese and bake until bubbly. Depending on your tastes, use sweet, hot, or mild sausage. This dish will make you swear off jarred meat sauce forever, so don't say we didn't warn you. Break out the cast iron for a change from boiled pasta. This skillet spaghetti lends itself to variation. Add the meat of your choice, chopped vegetables from the fridge, and the cheese of your choice to customize the flavors for your family. Add a green salad and some garlic bread and you've got a dinner for your brood or a dinner party.